If you travel to Korea, then there is always a higher chance for you to land at Seoul city. This is a great city and also the largest one in South Korea. It is also the capital city for Republic of Korea. There are many things that make Seoul city tour enough important for the travelers coming to Korea to know more about this country, its culture and tradition. Due to this reason opting for a Seoul Korea tour has also become viable for you if you really want to experience the rich culture and history of this nation. But before that you should know a few things about this city. The very first thing you need to know about Seoul is that how you can get there. It’s the Incheon International Airport that connects Seoul city with the rest of the world. During 2012, this airport was also ranked as the top one in this world by Skytrax. Here, you can also find the fastest baggage claim and immigration like service. The city of Seoul is divided into two different sections like Gangbuk and Gangnum. 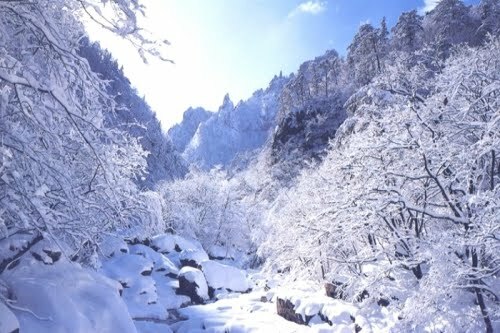 Most of the tourist attractions are located at Gangbuk and when you want to know more about the modern face of Korea, you should move for Gangnum. It’s the River Han that separates these two portions of the city. If you will look for the history of Korea, then you can find that Seoul city has always remained as the epicenter. Most of the historic activities once happened in this nation were triggered from this place. It is also the place where you can still get the traces of ancient civilization of this country. When you are on a Seoul city tour, you can always expect for a great shopping experience. This place is also considered as the shopper’s paradise in Korea. At the markets of Seoul city you can get a good bargain on items like shoes, leather, clothes, handbags, antiques, suitcases and silk. You can also shop for tailor made clothing and the quality of such clothing can vary on the basis of the amount you agree to pay. Bargaining is quite common at the markets of Korea. And this is also applicable when you are shopping in Seoul city. If you are good at bargaining, then Korean markets may appear as a real paradise for you. This part of the world is also a safe place to travel even when a female travels alone.